ATLANTA (AP) — In a legal showdown over voting rights in the political battleground state of Florida, a group of federal judges asked probing questions Wednesday about how voting rights are restored for some former prisoners but not others. At issue is whether Florida’s process of restoring voting rights to felons is unconstitutional. State officials defend their system, but critics call it arbitrary and unfair. “Is voting an expression protected by the First Amendment?” Judge Darren Gayles asked during Wednesday’s oral arguments in the case. Gayles was among a three-judge panel hearing the arguments at the 11th U.S. Circuit Court of Appeals in Atlanta. Florida’s system is not unconstitutional, and the way the state decides whether felons can vote again after their incarceration should be left to states — not the federal courts, Florida Solicitor General Amit Agarwal said during the hearing. But Jon Sherman, senior counsel at the Washington, D.C.-based Fair Elections Center, told the judges that Florida’s system is unfair. 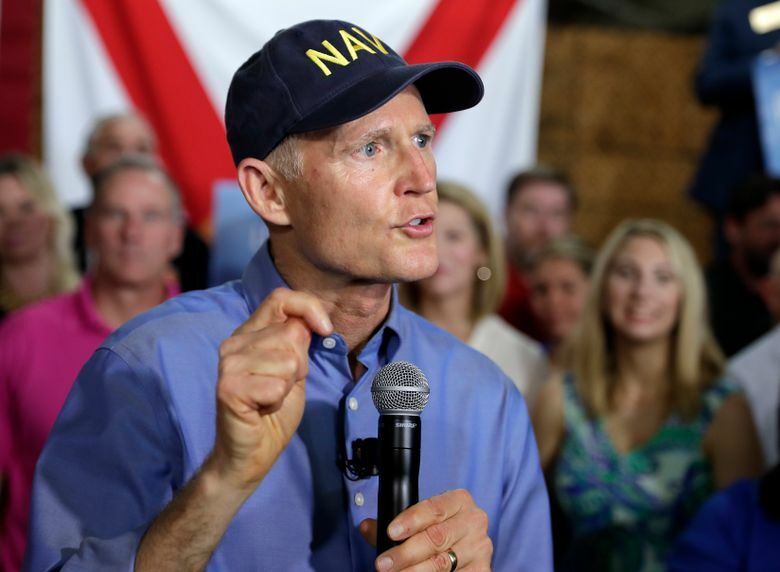 “Florida’s practice is inconsistent with the values of a democratic government,” Sherman said. Sherman is among lawyers representing a group of former prisoners. They sued Florida Gov. Rick Scott last year after their applications were turned down. U.S. District Judge Mark Walker ruled that the state’s system is unconstitutional, with decisions possibly swayed by politics and racial factors. Walker ordered changes, but that decision was later blocked by the appeals court. As many as 1.5 million felons remain disenfranchised by the ban, which is in Florida’s constitution. Given that so many felons can’t vote, the outcome of the legal drama could have political implications in Florida, which has a history of elections decided by palm frond-thin margins. Walker’s ruling kept the ban intact, but he challenged the current system that requires a former prisoner to wait between five and seven years before they can request their voting rights be restored. The governor and three elected Cabinet members then decide each request individually, subject to the governor’s unilateral veto. The felons are asked questions such as whether they have “turned their life around,” Sherman said. Inmates in hearings have also been asked whether they’ve apologized to their victims and, in one recent case, a black man was asked whether he had fathered children by different mothers.